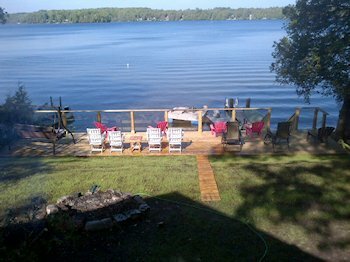 Waterfront cottage on private, quiet lake with eastern exposure for beautiful sunrises. 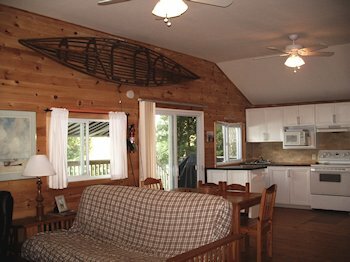 Charming open-concept cottage with full amenities and expansive raised deck overlooking the lake. Shallow water at shore, perfect for small children; gradual slope to floating swim dock. Water activities abound: swim, canoe, kayak, or fish. Please email mellobrook@bell.net for additional details and photos.